Empty Vase went above and beyond designing the beautiful flowers for this Bat Mitzvah at the Beverly Wilshire Hotel. 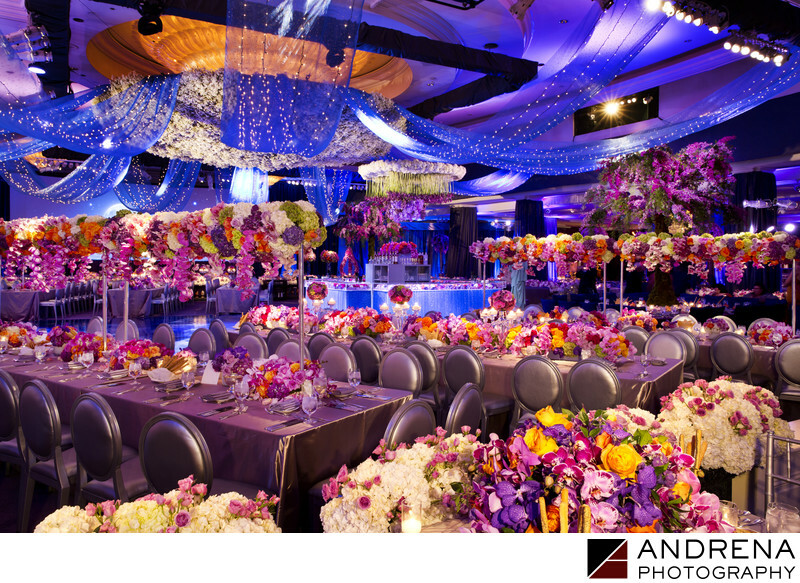 Pinks, yellows and purples popped creating lush centerpieces, while the ceiling held a cool surprise--a huge white floral constellation flanked with shimmering drapery embellishing the chandelier. We love shooting decor and it makes our day when the the set up is as gorgeous as this. We are pretty sure the family felt the same way. Location: Beverly Wilshire Hotel, 9500 Wilshire Blvd, Beverly Hills, CA 90212.